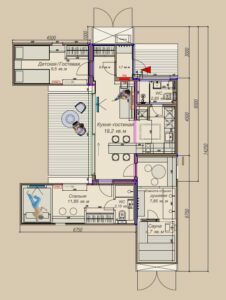 People commonly focus on container builds in countries like the USA, Australia, and the UK while forgetting that container homes are being built all over the world! Today, we’re excited to feature a rather unique home from a place you may not expect: Russia. The Pumpkin House is a modular container home that is really a turnkey solution, offering a fully furnished and outfitted building that’s ready to move in upon receipt. We loved many of their design elements and think you’ll be quite pleased with what they created. 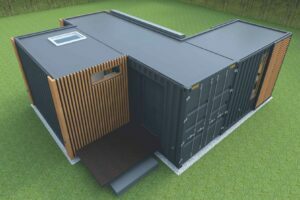 What attracted you to shipping container construction? Did you consider other construction methods for your projects? 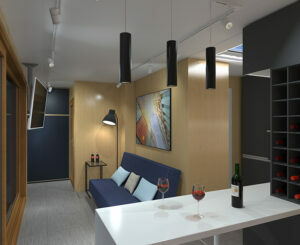 We were primarily attracted to shipping containers due to their appearance, which is a fundamentally new modern design. It was love at first sight! Our commercial director realized that we could make a new product based on shipping containers, which allow us to build with a process that is simple, fast, and most importantly, environmentally friendly. 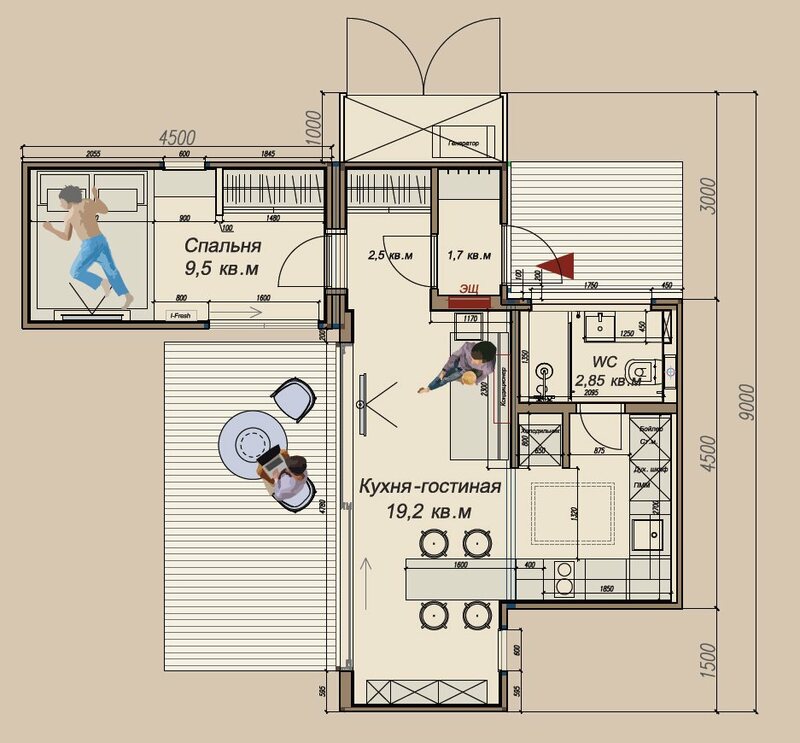 The modular home market in Russia is popular, growing, and highly competitive, but nevertheless we managed to find an unoccupied niche – no one offered a house with a completely furnished and functional interior like ours. Existing choices involved buying a house and then having to navigate your way through an assortment of building and interior contractors and retailers to arrive at the completed interior you wanted. We thought it was much better to get a house where there is no need to do anything, a turnkey living space. With the Pumpkin House, we found a solution for modern men and women that have an attraction to and taste for a beautiful and functional home that is ready for their modern lifestyle on day 1. There are even paintings of contemporary artists on the walls and space for photograph frames where the owner can showcase their own collection. 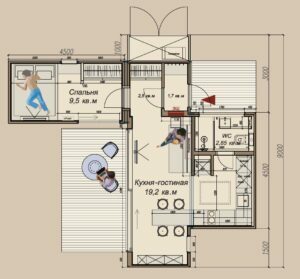 We were not the first container home builder in Russia, but we were confident that we could become the best and have found a truly unique offering with our completely ready-to-live-in. In this category, we still do not have competitors. Tell us more about the history of your company and your experience with container construction? 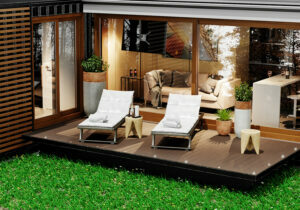 Our company, Letnyi Sad, was formed in 1999 and we do building design and installation. For instance, we have done replacement of glass glazing facades and repair/reconstruction of commercial and business centers. We first became interested in houses made from the shipping containers back in 2017. Initially we weren’t thinking about mass construction. We just needed a temporary house and then it turned out that what we created was quite a success. 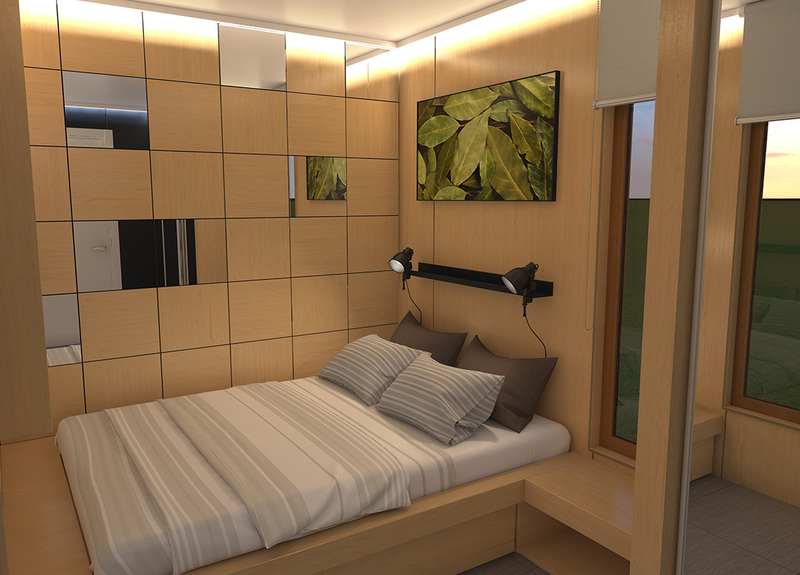 Our mobile modular house built from shipping containers can be transported easily, and even sited in locations where permanent construction is prohibited, like a luxury version of camping. The first eight houses were built for colleagues and acquaintances, and later a decision was made to start mass production under the brand of Pumpkin House. Most of our growth is due to buzz-marketing – people see our futuristic houses and orders from their neighbors start to appear! We now have over 50 people work on the Pumpkin House project. Everyone is truly in love with the project, has great professional experience, and we have no employee turnover. There are no random people in the project, and we remember every house we’ve made and every customer. The only department of the parent company that hasn’t been involved in Pumpkin House is the complaints department! Tell us about your design, and how you envision the home being used? The house is universal and applicable for many different scenarios of use – a house for permanent residence (it has already been tested by the Siberian frost), a guest house, a temporary house, etc. And of course, it is a great house for practical owners who prefer to buy a house and not to waste time on repairs and design. In Russia, Pumpkin Houses are gaining popularity for use supporting the tourism industry. One of our customers has even placed them on river pontoons. Using them as short term rentals like this is gaining momentum, as companies have started buying wholesale quantity of Pumpkin Houses from us to rent near tourist attractions. A good number of Pumpkin Houses are ordered from us with a larger living space, an additional bedroom, and a sauna. We have been pleasantly surprised that the fully equipped houses are bought more often than unequipped – although this option is also available. We are pleased that our interior design has been able to satisfy even the most demanding buyers. The most popular houses have a living area of 36 sqm (385 SF) and a house with an additional bedroom and a sauna is 66 sqm (710 SF). 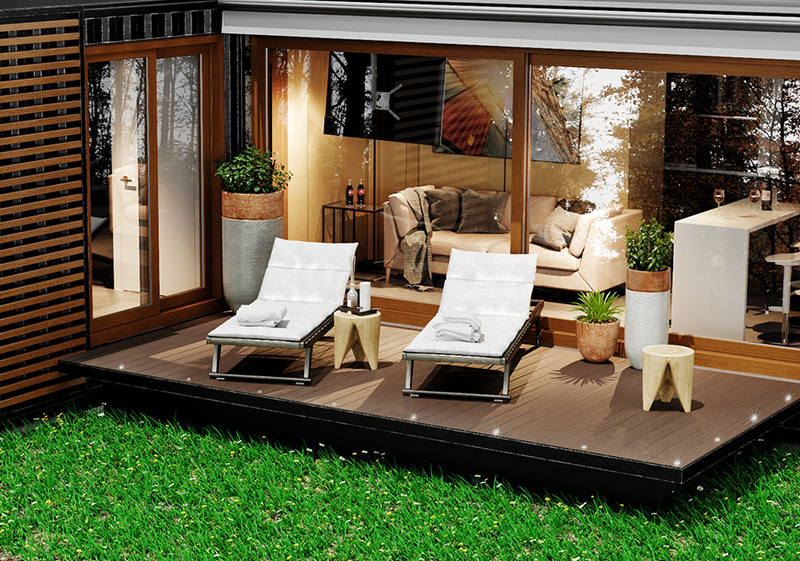 If you later want to increase your available living space, you can always buy additional modules such as another bedroom, office or pool. 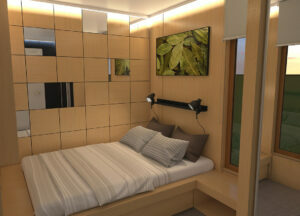 This extendibility is part of the charm of modular houses build from containers. The houses are well insulated with sprayed with polymer insulation (we do not use mineral wool and carefully check for allergens with all materials). We when created the concept of a house with a complete set of furnishings, we were inspired by Italian yachts and Scandinavian cottages, where everything necessary is already included. These days, many people are busy and value their time. They do not want to spend their free time studying the assortment of interior design and furnishing options available in stores. We manage this for them by creating a modern design with a focus is on ergonomics. In a relatively small area, we were able to create a comfortable space with everything necessary. We have selected good furniture from premium manufacturers and IKEA. 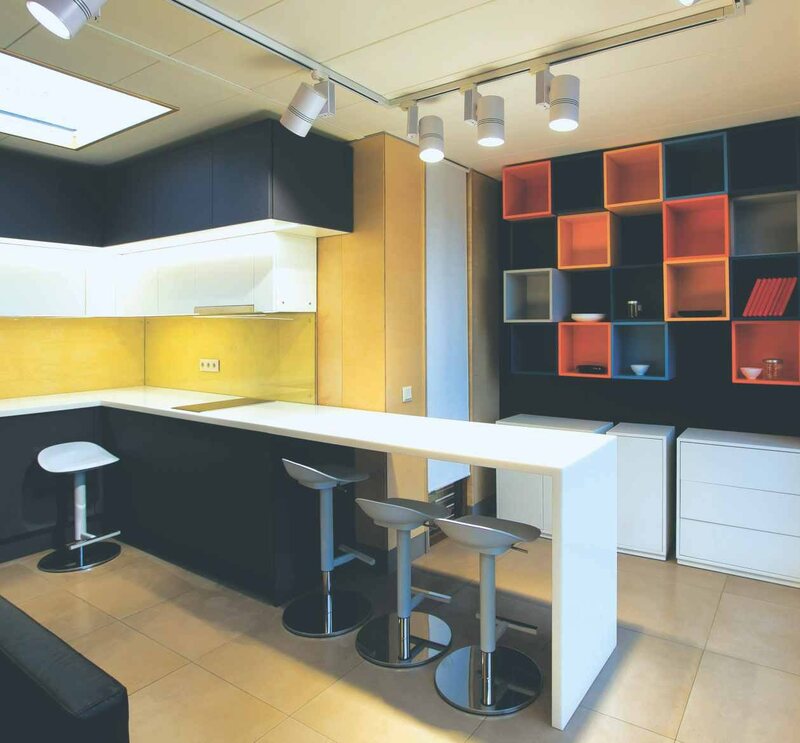 The interior was designed by a designer-decorator, and the necessary things for the kitchen was chosen by a chef. Walk us through the process and timeline of building your prototype or first unit? What issues did you encounter and how did you resolve them? Construction of the house takes no more than one month. You choose the format of your home and make a prepayment. After a month you can enjoy your Pumpkin House. The cost of the Pumpkin House with a living area of 36 sq. M is USD $72,000 dollars. The weight of it is 14 tons, and it can be delivered anywhere in the world. A Pumpkin House can be shipped anywhere in the world with the assistance of a transport company. We already have the experience of sending Pumpkin Houses to Greece and mountainous Georgia, as well as to the city of Murmansk (a distant northern city in Russia, located beyond the Arctic Circle). In the beginning, we worried a lot about transportation, but they were delivered without problems. We do not currently have buyers on other continents, but we are looking forward to these first orders from outside of Europe. As a gift we will send our love and Russian souvenirs! During the development of the first Pumpkin House, we did not provide stiffening ribs and therefore the containers became skewed. We quickly understood the reason and corrected the mistake. Since then, we haven’t had any further issues. 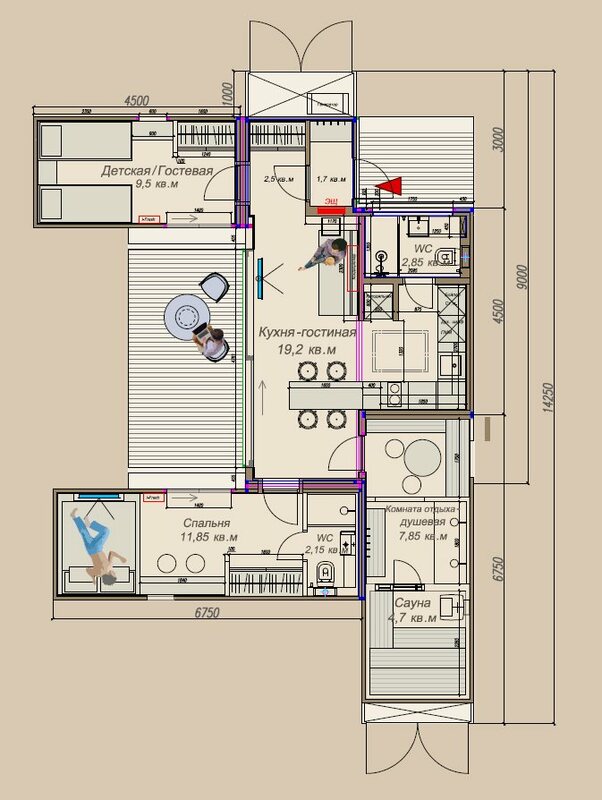 The design and construction is relatively clean and simple.